In this guide we have collected everything you need to know about your baby or toddler’s gross motor development, along with practical activities to help your child further develop robust gross motor skills. Gross motor skills as opposed to fine motor skills refer to your child’s ability to control the large muscles in arms legs and torso. Healthy development of gross motor skills includes building up strength and endurance, control of muscle movements (professionally known as flexion and extension), as well as the ability to perform two separate patterns of movement with individual body parts (known as disassociation). Prominent examples of gross motor skills for babies include learning to crawl and learning to walk, however gross motor development encompass many more skills and abilities. Everything from jumping, catching and throwing a ball to running, swimming and climbing are gross motor skills. All of the physical abilities we take for granted as adults actually build upon important earlier abilities learned during the baby and toddler years. 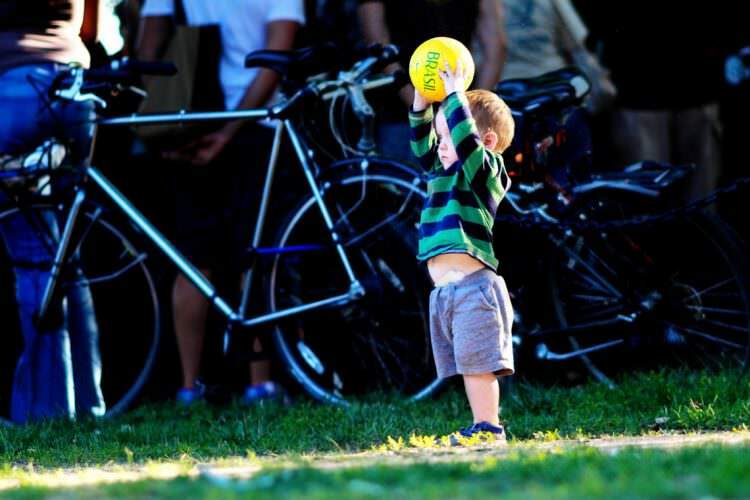 Most preschoolers are able to perform all basic gross motor skills, and by the time they reach school, kids are usually able to perform advanced motor skills such as riding a bike or playing a set of drums. However true excellence, even at a much later age, often depend strongly on those very early skills learned as a baby. For instance, painting with a brush while standing up can be difficult for people who never crawled as babies. Michael Jordan didn’t make 32,292 points during his career without superstar hand-feet coordination. 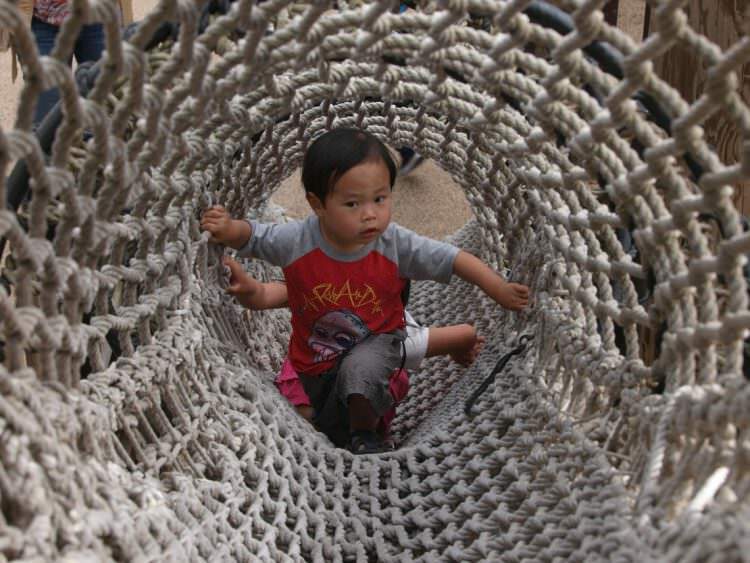 Selecting the right gross motor activities, that match your child’s current development stage, can help to accelerate learning and provide your baby or toddler with confidence boosting achievements that help propel them to reach even further. Here at ADAM & Mila we work hard to help and support parents with fun play activities and other great resources. For babies the gross motor activities are mainly focused on building muscle strength and making sure that those initial baby reflexes develop into full independent command over arms, legs, hands and feet. Tummy time, rolling, grasping and of course crawling are examples of important gross motor activities for babies. For toddlers the big milestone is of course walking and taking those first uncertain steps. But really the whole period is about learning balance, control and coordination. Ideal gross motor activities for toddlers include dancing, playing with large toys that needs two hands to hold, mixing physical activity into other activities such as telling stories, signing, as well as having fun with sensory games. 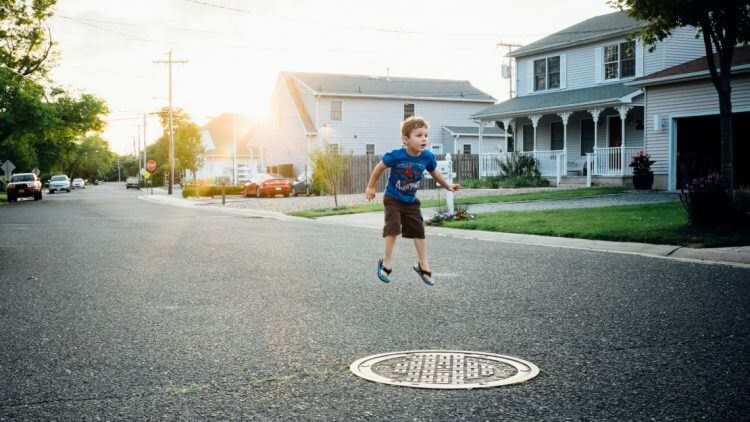 Understanding your child’s gross motor development is important in order to choose appropriate learning activities that stimulate your child, but doesn’t challenge him or her beyond current abilities. The development and acquisition of new gross motor skills follow certain predictable patterns and stages marked by developmental milestones. Here at ADAM & Mila we have made great effort to collect all the most up to date research on baby and toddler developmental milestones and present it to you in an easy to understand way. From birth to the age of three there are more than a hundred unique development milestones just for gross motor skills. To help you make sense of it all we sorted the milestones into topical themes, with the milestones inside each theme presented in a month by month natural progression. This section covers all the development milestones related to gross motor skills for babies from birth until about 15 months. During this period your baby should develop several new reflexes, (and loose them again), learn to roll from tummy to back (known as rolling from prone to supine), start raising his or her head and pushing up on both arms before eventually starting to crawl. This section applies to all children who have already learned how walk and covers some of the more advanced developmental milestones related to gross motor skills for toddlers. These higher level gross motor skills include more complicated movements such as bending over and looking through your legs, walking backwards, climbing stairs, jumping and catching a ball. While physical activity is very important for your baby’s health, do keep in mind that he or she is running on a small engine. Keep activities appropriately short, usually just a few minutes, and stop at the first sign of exhaustion. Both babies and toddlers naturally love being physically active and love learning new things they can do with their body – so the best advice is to simply let your child set the pace and take breaks when your child loses interest (a typical sign that he or she is tired). What if my child can’t roll, crawl, walk, etc.? All the gross motor skill development milestones we cover in the themes above have a period specified in months, indicating at which age a typical child would be expected to achieve the milestone. If your child has not yet exceeded the upper age of a given milestone, then there is absolutely no need to worry. If your child has not achieved a milestone by the end of the period where this milestone typically emerges that could indicate a development delay. However, don’t panic yet. Focus on making sure your child is achieving the prior milestones within the same theme – remember there is a logical sequence to how your child develops. Also understand that it is not uncommon for a baby to skip a milestone / gross motor skill and move straight to the next one (though it is unusual for him or her to skip two consecutive milestones within the same theme). Pay attention to your child’s desire and attempts to perform a certain action. Is he or she trying? Is there something holding your baby back? Also pay attention to symmetry between left and right for both hands, arms and legs. Asymmetric ability where one side is clearly more capable than the other could indicate a problem. Look for the ability to reach across his or her own body, for instance picking up a toy on the right side with left hand – this is know as crossing the midline and actually is hard to do for newborn infants, due to it involves both left and right side of the brain working in coordination. If you are concerned that your child may have a problem reaching any of the gross motor skills milestones describe here, then do make sure to seek advice from a pediatrician, physical therapist or occupational therapist.